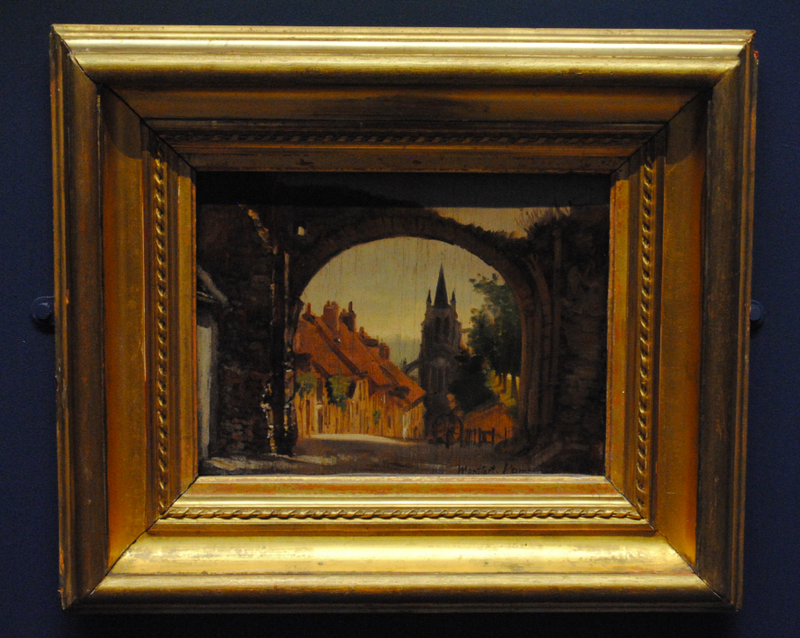 The above oil on panel is the work of the 19th century French landscape painter Adrien Dauzats. Born in Bordeaux, Dauzats began his career as a theatrical scene painter and designer of lithographic illustrations. 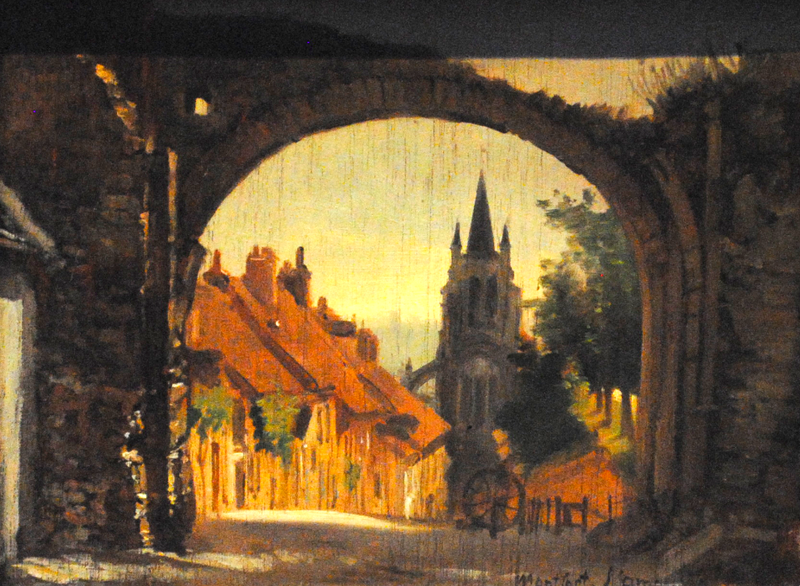 The painting is of a town in Seine et Oise and depicts one of the sloping streets that surround the 15th century Gothic church.